WOW, WHAT A HOUSE!! 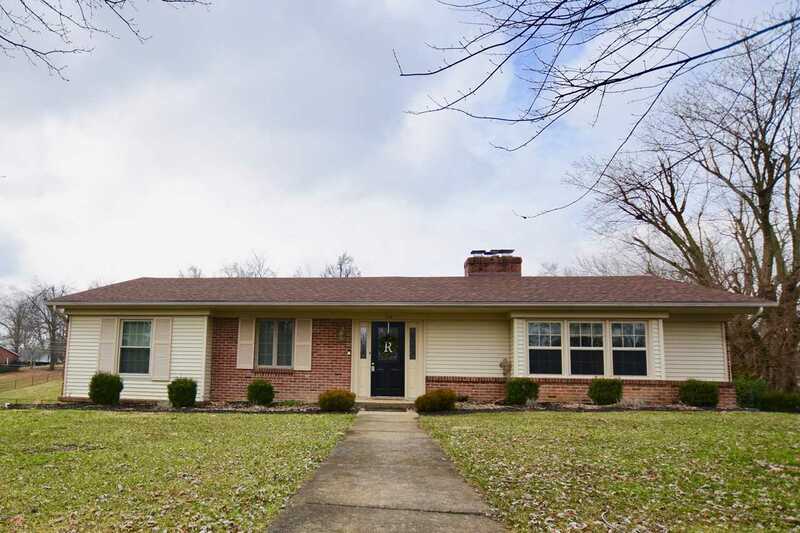 DONT WAIT to come tour this BEAUTIFUL BRICK RANCH in the heart of one of Elizabethtown's most established subdivisions. This home features approx. 2700 sq ft of finished living space, NEWLY REFINISHED hardwood floors, 2 fireplaces, STUNNING living room, NEWER stainless steel appliances & massive ISLAND off-set the eat-in kitchen AND the GORGEOUS SUNROOM off of the kitchen features LARGE WINDOWS & tongue and groove ceiling & walls. Then there's the MASTER bedroom with double closets and access to it's own private deck. PLUS the NEWLY REMODELED Master bathroom with tile shower! You'll be just as impressed with the SPACIOUSNESS of bedrooms 2 & 3, but it doesn't stop there!!! Walk down to the lower level of this walkout ranch into the family room, complete with wood burning stove, half bath and storage area galore! SchoolsClick map icons below to view information for schools near 112 Commanche Dr Elizabethtown, KY 42701.